September is National Honey month and Kids Creative Week is this week as well. 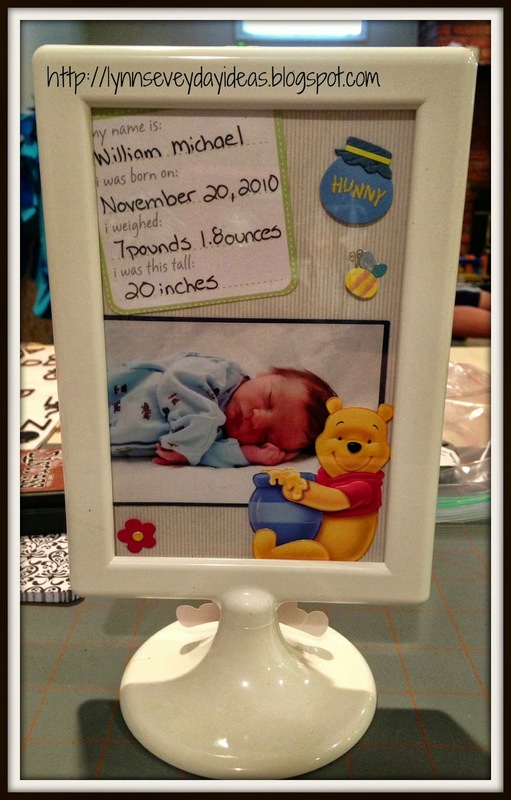 The KK8 DT was challenged to create a card, layout or project that had kids and Winnie the Pooh. 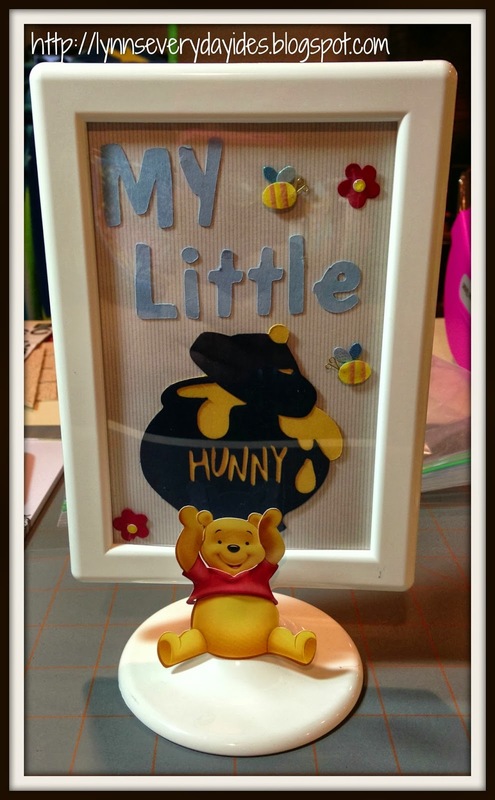 We all know Pooh loves his honey and that no kid can resist that lovable huggable bear…Winnie the pooh. Winnie is not something I would normally choose to work with so this was a bit of a challenge for me. I also went to the local craft store and they have two Winnie the Pooh stickers…nothing else! 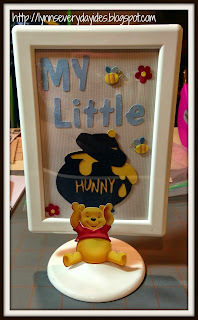 After quite a bit of thinking I borrowed the Winnie the Pooh cricut cartridge from a friend and come up with the following altered frame. I used a 99 cent two sided from from Ikea and cut the honey pot from the cartridge. I then placed the pooh sticker to look like he was holding the pot up. The front is also from the cartridge. 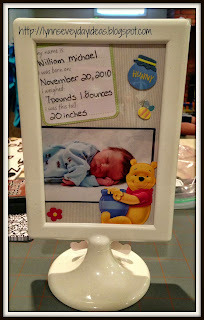 It worked perfectly for the hospital photo I used of our little honey since he was in blue the day they took the photos. Who am I kidding…he was in blue everyday for like the first year of his life. He looks wonderful in baby blue! I challenge you join the design team, and to share your creation over on the KK8 blog. One lucky winner will even win a prize. I love your project! very creative!